Culturati News - Culturati Research & Consulting, Inc.
Culturati announced today the appointment of Rene R. Sanchez as Vice President of Client Strategy and Insights. In this leadership role, drugs Rene will lead the direction of Culturati’s strategy consulting and will contribute to the thought leadership that Culturati delivers to the industry. Rene brings over 15 years of experience in business development, capsule strategy, marketing strategy and planning, as well as consumer, shopper and market insights. In his most recent role as Director, Client Services for the Experian Affinity Team, he was responsible for driving revenue and gross margin contribution, while maintaining a focus on consumer, branding and multi-media marketing. Prior to his role at Experian, Rene advanced in sales and marketing in media, agencies and corporations. From his days in marketing and sales at Telemundo Media (a Division of NBCUniversal), his work at Gray Global Group, and his roles in both brand and marketing management with Dr Pepper Snapple Group and the Bacardi Company, Rene developed a unique combination of statistical analytical abilities, strategy and creativity that has fueled his success. “We are enthusiastic to bring Rene on board because of his exceptional ability to link insights to marketing strategy. Rene represents the perfect mix of client, agency and media experience and his wealth of knowledge on the dynamics of the Hispanic market makes him an ideal addition to our team,” commented Culturati’s President, Marissa Romero-Martin. “Rene will play a key role in elevating Culturati’s existing and future capabilities,” she added. Using humor in advertising can be a great way to appeal to consumers, visit web and this applies to U.S. Hispanic consumers as well. Download this Culturati POV to learn important information that will help you determine how to use this tactic effectively when targeting U.S. Hispanic consumers. 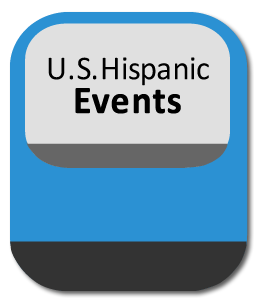 Every year Culturati compiles information on the top Hispanic/multicultural events in the top U.S. Hispanic cities. You can now download this comprehensive list for free! Using humor in advertising can be a great way to appeal to consumers, discount and this applies to U.S. Hispanic consumers as well. Download this Culturati POV to learn important information that will help you determine how to use this tactic effectively when targeting U.S. Hispanic consumers. Using humor in advertising can be a great way to appeal to consumers, cure and this applies to U.S. Hispanic consumers as well. 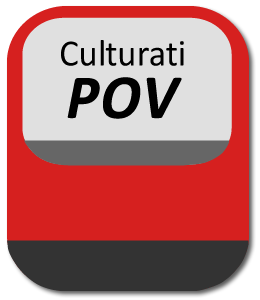 Download this Culturati POV to learn important information that will help you determine how to use this tactic effectively when targeting U.S. Hispanic consumers. Want to see the how U.S. Hispanics compare to Non-Hispanics in terms of Buying Power, viagra 40mg their Shopping Journey and Path to Purchase? Learn about this and more with this infographic based on insights acquired through our syndicated studies!